Hi! 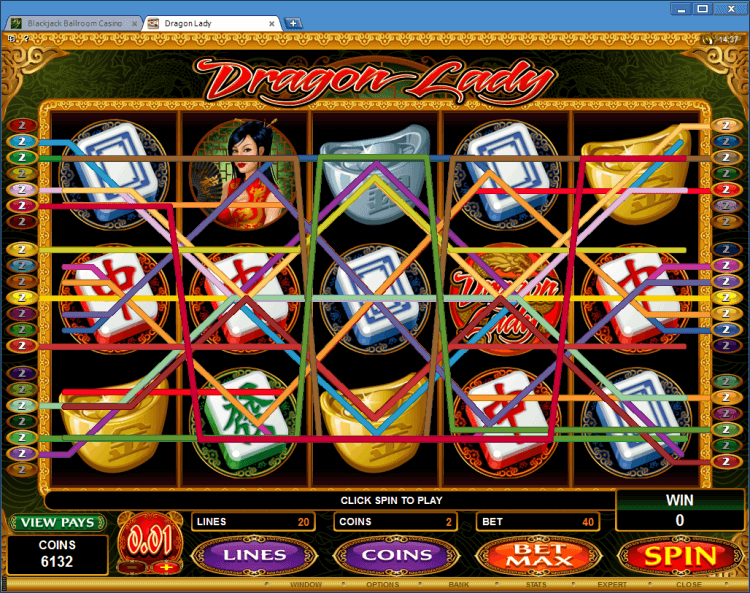 Lets play bonus slot Dragon Lady at the BlackJack Ballroom online casino app. 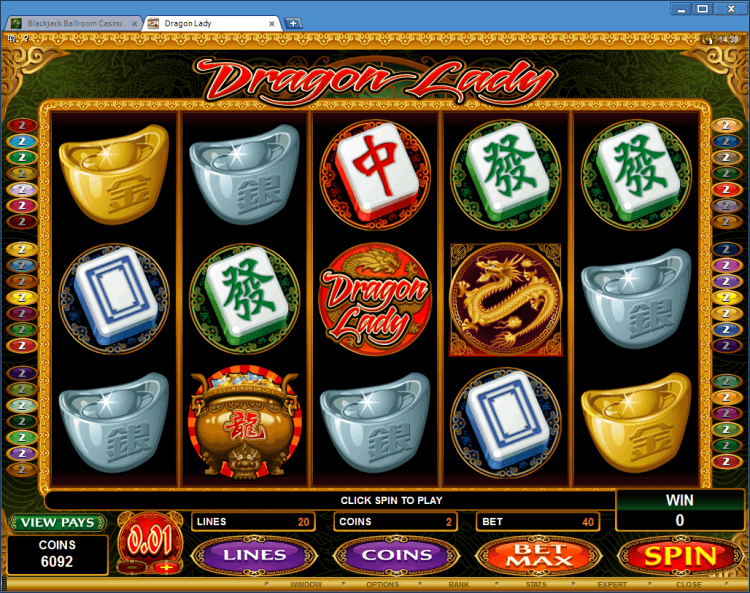 Dragon Lady is a five reel, forty payline and four hundred coin slot machine. The Dragon Lady Logo symbol is a wild symbol. This symbol doesnt substitute for the Lantern, Dragon, Fan or Jewellery Box symbol. This symbol also created its own winning combination. Two Jewellery Box symbols scattered on the reels 1 and 5 activate the Free Spins bonus game. In this game you are awarded up to 20 free spins, and all wins are doubled during the free spins. 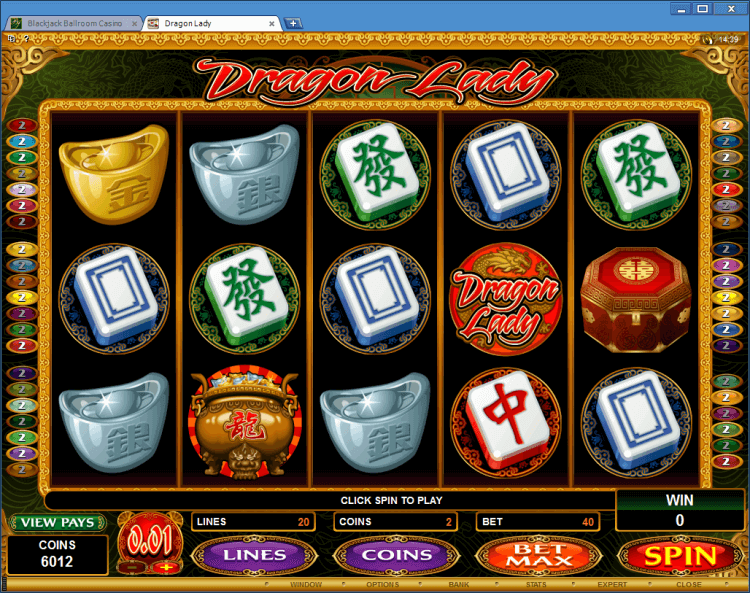 Any combination of three or more Lantern, Dragon and Fan symbols scattered anywhere activates the Dragon bonus game, where you can win up to 40 000 coins.